You already know your home collects dust. You probably already know that the dust contains harmful chemicals. What you may not know is which classes of chemicals are present and how they can hurt you. A new study of scientific literature attempts to sort this out. Researchers from three U.S. universities and two environmental organizations said a wide variety of chemicals find their way into the home, continuously exposing inhabitants to toxins associated with reproductive and developmental problems, cancers and other health risks. Specifically, reviewers found that DEHP, a chemical belonging to a hazardous class called phthalates, was the most widely present chemical found in household dust samples. They found that phthalates overall were the leading category of toxins in the samples, followed by phenols and flame-retardant chemicals. Phthalates are used in a wide variety of products to soften plastic and vinyl. They are found in shower curtains, plastic wrap and skin moisturizers. All the human health effects of phthalates are not fully known, but are being studied. Manufacturers stopped using phthalates to make soft pacifiers and teethers in 1999. The study has spawned dozens of frightening headlines about “toxic chemicals” and “poison dust,” but the authors acknowledge their work merely points the way to future research. The American Chemistry Council says the study doesn’t provide enough information to know whether harmful chemicals found in household dust pose health risks. "The mere presence of a chemical does not signify risk to human health," the council said in a prepared statement. "Assessing health risks depends not only on understanding which substances are present in something like dust but also on the actual amount, route, duration and timing of exposure to those substances. Most of this important information is missing in this study." The article, “Consumer Product Chemicals in Indoor Dust: A Quantitative Meta-analysis of U.S. Studies,” was published in Environmental Science & Technology. The George Washington University Milken School of Public Health, where lead author Ami Zota is on the faculty, published a press release about the study. Here is a fact sheet on phthalates from the U.S. Centers for Disease Control and Prevention. Talk to your health care provider about any concerns you have about your exposure to harmful chemicals in the environment. 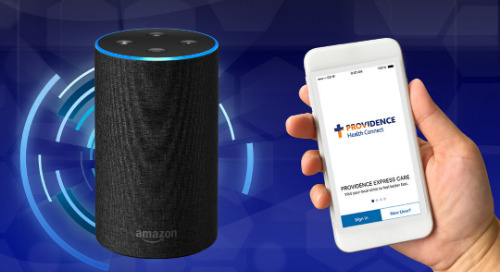 If you’d like to talk to a Providence provider, you can find one in our directory.